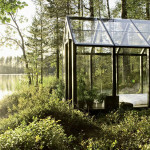 There is no greater home-with-a-view than a glass house, and these glass houses represent the finest of their kind. 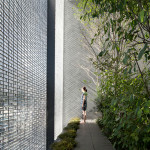 The transparency of a glass wall brings the nature of a home’s plot into its interior, providing a deep personal connection with the environment around a home, not just the space it occupies. 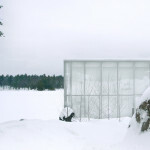 Despite concerns of privacy, which can be carefully controlled with creative landscaping, the allure of glass houses is strong amongst both casual fans of architecture and modernist zealots alike. 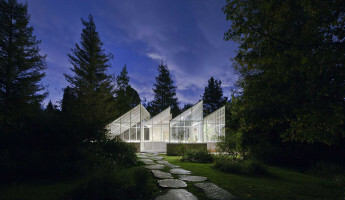 Enjoy these 10 incredible glass houses and a bit of history for the form, a study in timeless, transparent architecture. 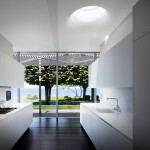 The clear transmission of light makes a glass-walled home the ideal live/work space for a professional photographer. 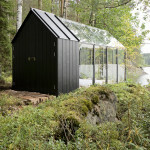 The Photographer’s Studio over a Boathouse by gh3 is built around this concept, with a north-facing wall that brings in both direct and diffuse light for stunning studio photography. 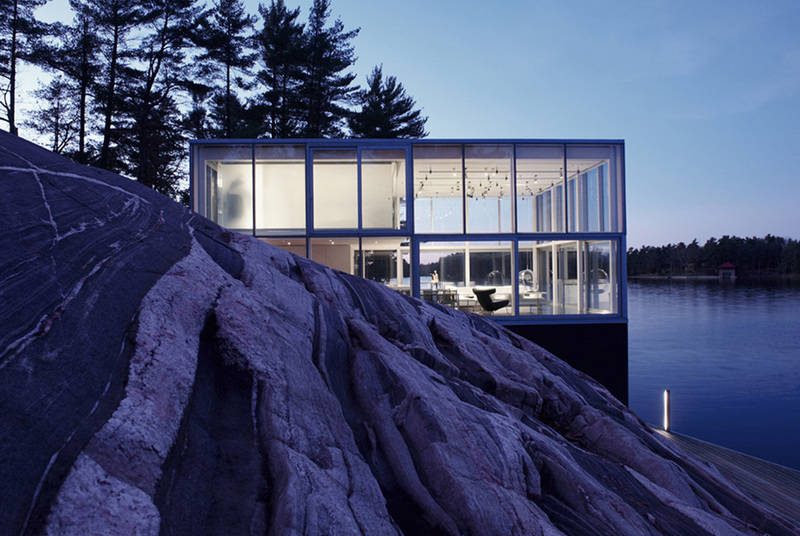 This large glass-skinned rectangle is located on Stony Lake in Ontario, Canada, a creative escape from the bustle of nearby Toronto. It provides the best natural studio light a photographer could dream of in a location with dynamic natural backgrounds in every direction. 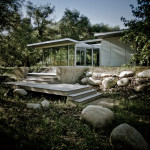 Truly a success in design by gh3 architects, a marvel of glass house architecture. 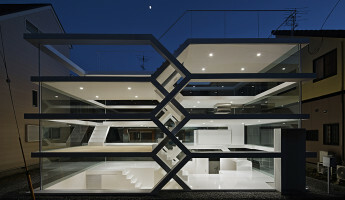 A contemporary home in the heart of Hiroshima uses custom glass bricks for a large, multi-story outer wall. 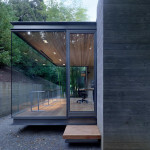 The Optical Glass House by Hiroshi Nakamura and NAP is filled with natural light that flows deep into its interior spaces. 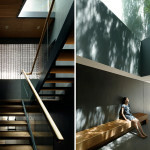 Interior trees, grasses and other plants thrive in the wall of light that faces the city street. 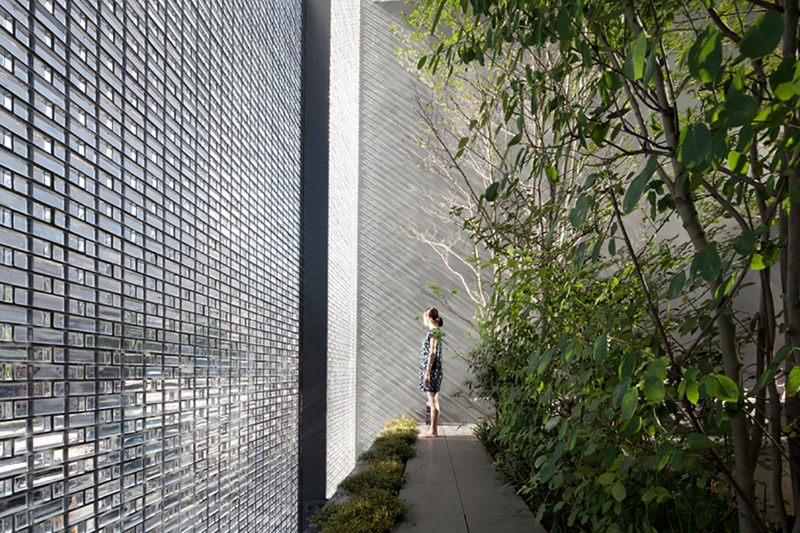 By using these custom-made glass bricks, the occupants enjoy natural light throughout the day with the scenery of the city beyond, but the view within is obscured by the natural blur of the slim glass blocks. 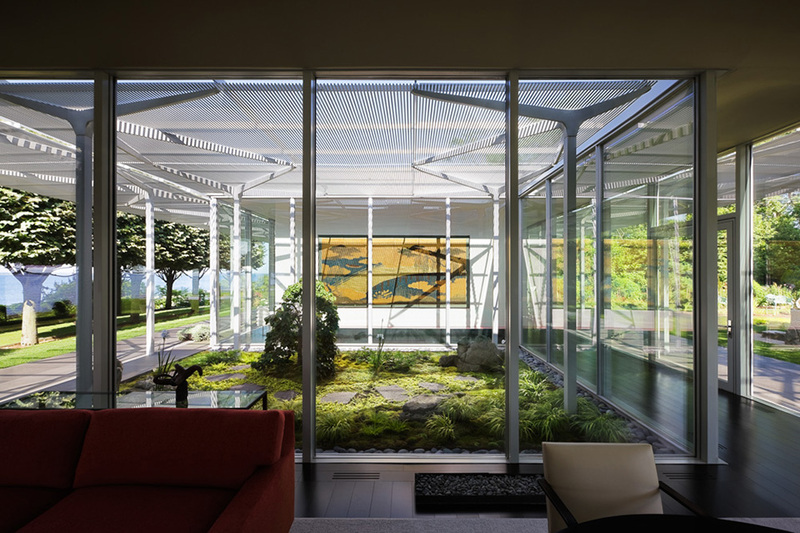 The Optical Glass House provides serenity in a busy urban environment, plus pure natural light for the occupants and landscaping within. 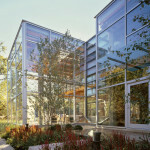 This striking glass structure occupies a peaceful garden in the rear of a suburban home. 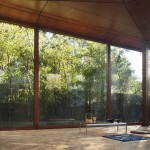 The Tea House by David Jameson Architect is a special space for relaxation, meditation and music within a finely-landscaped private yard. 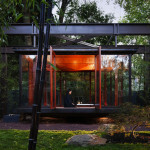 Steel beams lift this glass tea house off the ground, floating inches above the surface like the meditative state of its occupant. 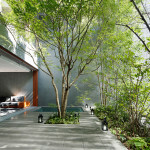 The large glass walls act as a crystalline case for the sanctity within, allowing the Japanese maples and breezy bamboos to continue the Asian influence of the space from outside. 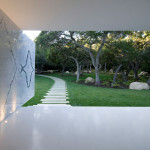 It is a work of art for this home’s garden, a space made magical by its clear glass walls. 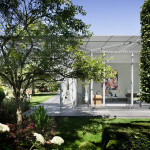 A large rectangular pavilion structure features white floors and ceilings with clear glass walls from one end to the other. 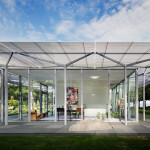 The Glass Pavilion by Steve Hermann Design is a homage in spirit to one of the first glass houses, the famous Farnsworth House by Mies Van der Rohe. 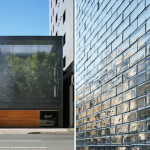 The Glass Pavalion is much larger than its spiritual predecessor, spanning multiple main level living spaces and private rooms. The lower section features a glass-walled garage, stocked with classic exotic cars like a vintage Mercedes Gullwing. 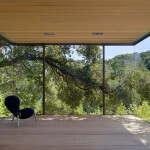 In total, the Glass Pavilion is one of the finest glass houses in existence today, featuring clear and sweeping views of the Montecito, California plot on which it rests. 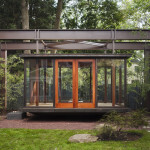 The rare and exclusive nature of glass house architecture keeps it out of the reach of most homeowners, but a prefab option is accessible to a wider base. 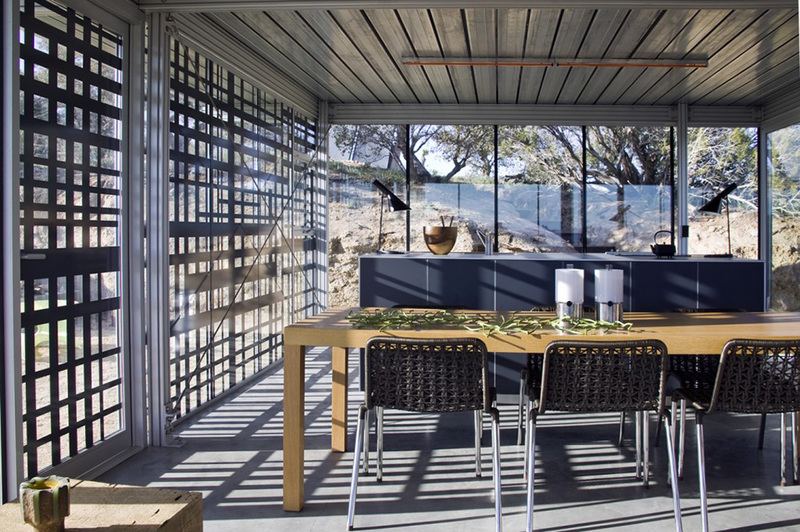 The It Kithouse Prefab Home by Taalman Koch is precision-manufactured off-site to be rapidly constructed on the plot of your choice. 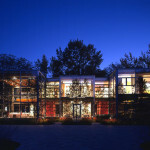 It is sustainable in both material construction and energy consumption, as its glass walls bring in warm sunlight in the winter and can open to allow passive cooling in the summer. 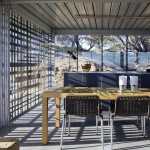 Radiant-heat floors and optional solar panel systems can make the It Kithouse an off-grid option, just like the version shown above in the Joshua Tree desert. 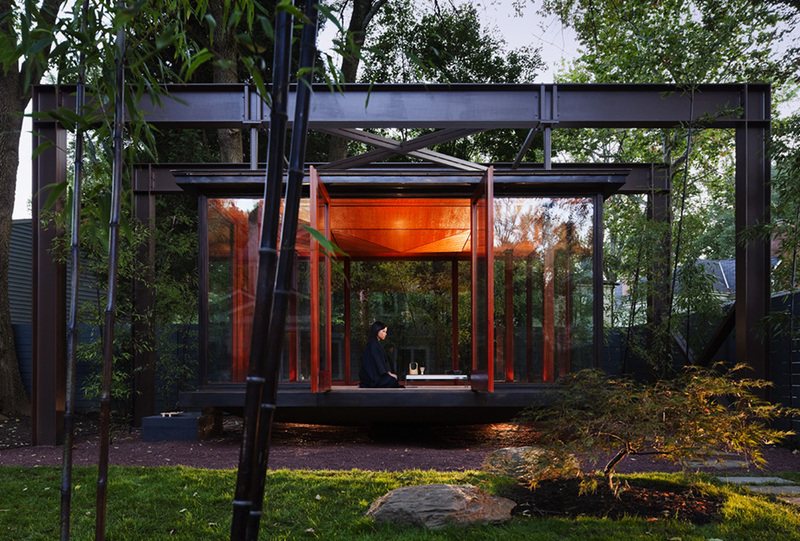 A continuance of the tea house theme, as a place for private relaxation and introspection, continues with a series of three glass houses in the Silicon Valley. 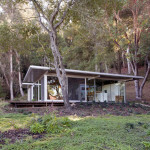 The Tea Houses by Swatt | Miers Architects are located on a hilly, wooded plot near the owner’s primary residence. A large concrete support section rises on two sides of the long, glass-lined rectangle that cantilevers over the sloping hill below. 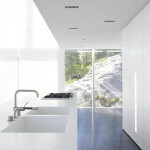 They are designed to be a window to the nature beyond, but allowing quiet, peaceful reflection within. 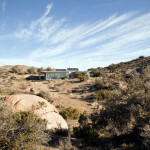 They can be used as guest facilities for visitors, but their primary emphasis is to enjoy them and their clear views into the California landscape. 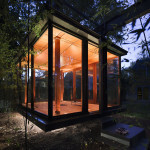 This large, transparent pavilion home is a work of art in its own right, but it houses an impressive collection of modern art as well. 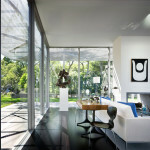 The Fishers Island House by Thomas Phifer and Partners is home to a retired museum director and wife, plus a large collection of painted art and sculptures in and around the home. 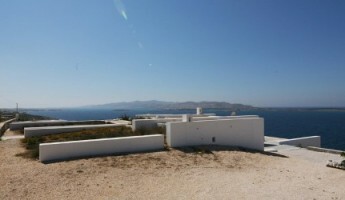 It is clear from one end to the other, with views going right through the home and into the garden beyond. 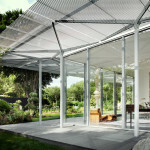 An aluminum trellis hangs above a perimeter walkway and a central courtyard within, providing shade to the interior sections while allowing some light to filter through. 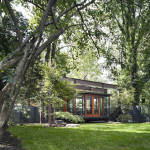 With its glass walls and fine trellis, this home’s connection to its Fisher’s Island nature is virtually seamless. 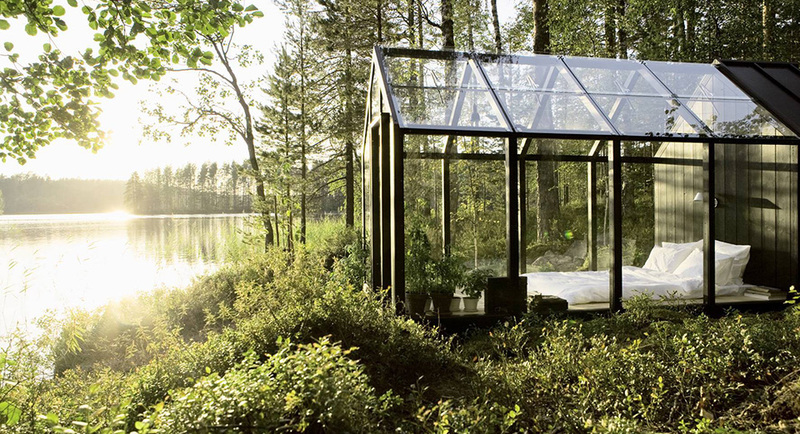 No other glass house can match the scale of this architectural marvel by Thomas Roszak. 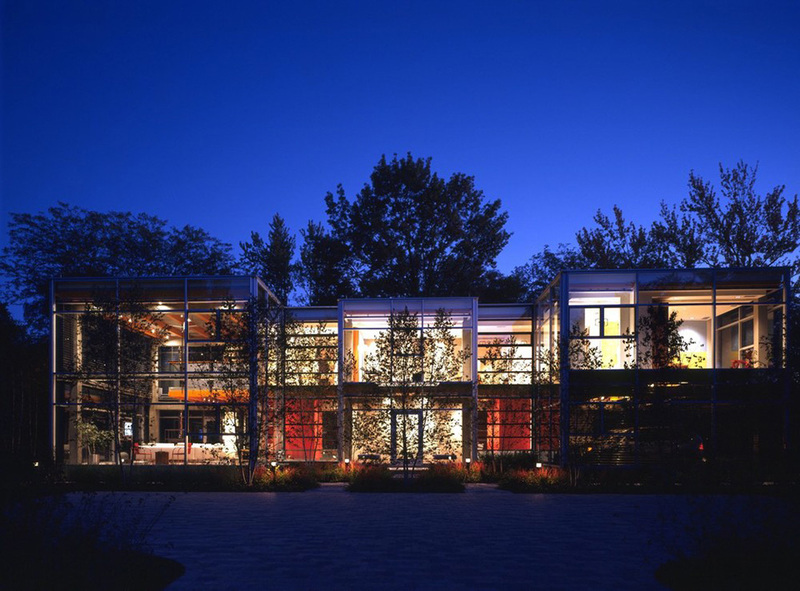 This Glass House is more than just the architect’s most celebrated work, it’s also home to his young family on the north shore of Chicago, Illinois. This AIA honors award winner is perhaps the largest of its kind, but its initial inspiration was modular in spirit. 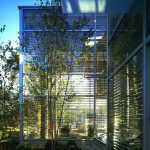 The home comprises multiple glass-shelled sections that are combined into one, but designed to be added to as a family’s needs grow. 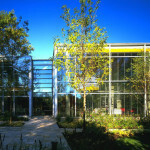 Roszak opted for the full package in his Glass House, showing off the capabilities of his long-held dream for modular glass architecture. 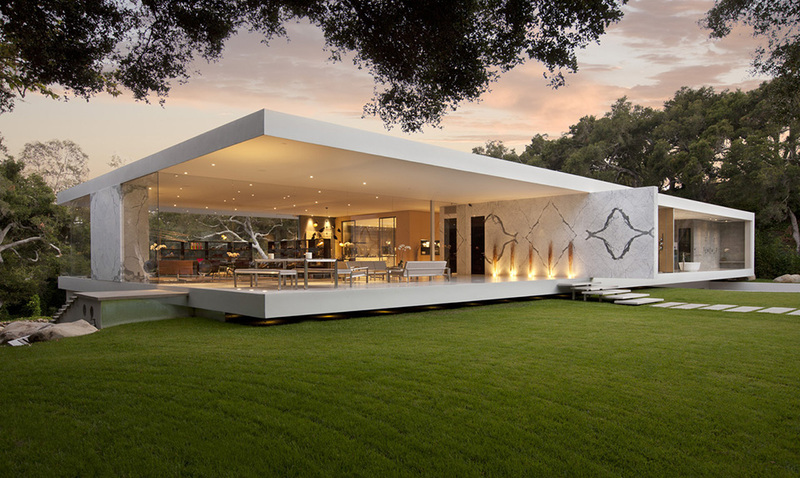 The Jodlawa House by PCKO Architects is a large glass structure, punctuated with natural stone end walls and steel framing throughout. 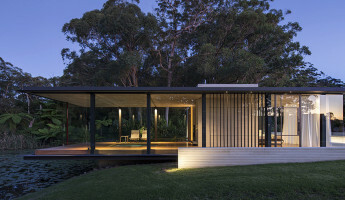 Next to the glass-ceiling swimming pool shown above, a long rectangular house features glass on every side and a cantilevered dining section rising above the natural plot below. 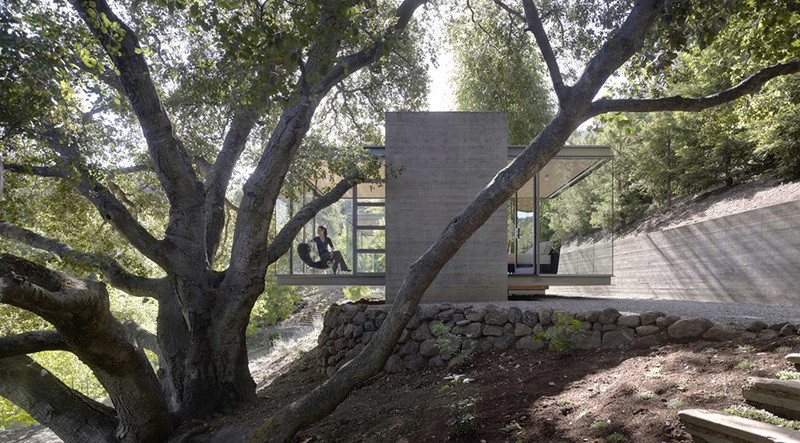 A stone tower rises above the Jodlawa House, including a guest bedroom and office, with reflective glass windows that continue the visual elements of the endless glass walls below. 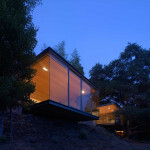 The glass walls of the Jodlawa House invite the color and light of the exterior within, while naturally cooling the house in the summer as panels expose a direct connection with the environment beyond. 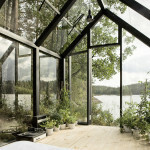 In a word– idyllic. 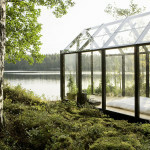 A small crystal cottage overlooks a calm lake in Finland, a magical little glass getaway for two. 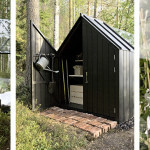 The Glass Garden Shed by Ville Hara and Linda Bergroth is a custom creation built on the frame of a shed design by Bergroth, one that is now a private escape for her own use. 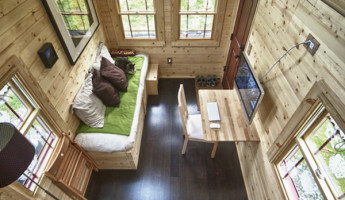 It features a large, cathedral-style ceiling and walls of glass that entirely enclose a small bedroom section. Behind the shed, reclaimed bricks approach a small storage section painted black like the beams which hold the glass case. 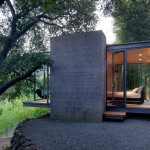 Power is provided by nearby solar panels, making this magical little retreat as sustainable as it is dreamy. 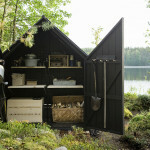 If you’re like us, your mind is now flirting with the idea of creating a cottage like this for your own use. 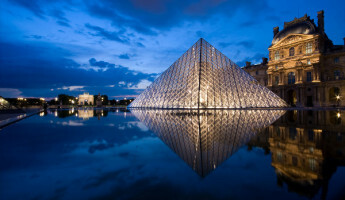 These 10 glass houses represent some of the greatest works of glass architecture in recent years, but they don’t cover the full history of the form. 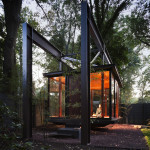 Glass house architecture spans back many decades, including the Farnsworth House by Mies Van der Rohe, the Glass House by Philip Johson and more. 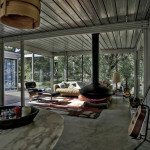 Use of glass walls in architecture has been a storied element of modern design, with one of the most famous works of architectural photography studying this form. Julius Shulman‘s famed photograph of the Stahl House in Los Angeles has captured the imagination of modernists throughout the world, a testament to the beauty of glass house design in architecture.